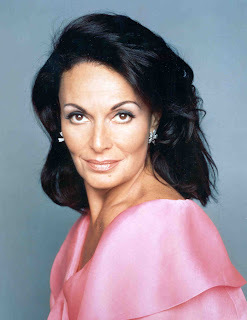 Diane von Furstenberg, the doyenne of New York's high fashion designers, said in an address to budding designers, "The more you can grow yourself naturally, the more you can control your destiny." While speaking to the high fashion industry in New York, she could just as well have been speaking to the gardeners, down and dirty, in anti-fashion Flagstaff, about growing their gardens naturally. The correlation between natural and destiny is simple. 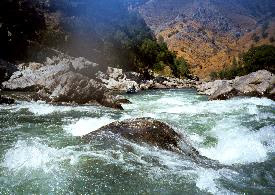 Years ago when rafting down the Tuolumne River, I asked the rafter, a graduate student in philosophy at Berkeley, about the principles of rafting. He said, "You can't fight the river. It's too powerful. If you try, you'll get dumped. It's not quite like going with the flow, more like reading it and using the current." It might be called The Von Furstenberg Principle, using the current. Modern industrial agribusiness, on the contrary, has used the same principle of exploitation as used by the coal mining and the oil drilling companies. Exploiting natural resources as though they were inexhaustible, unaware that earth is a limited sphere, they're legacy children who've never replenished their heritage, but have simply used it up, inevitably leaving themselves without resources, barren and sterile. Sustainability, on the other hand, uses the model of replenishing, putting back as much, if not more, than is taken out. It might be called reinvesting in nature. Rather than exploiting the earth, it seeks to renew it in part by recycling and nourishing. The introduction of too much synthetic fertilizer has resulted in soil salinization, as in California's Coachella and San Joaquin Valleys where vast tracks of land have become sterile. 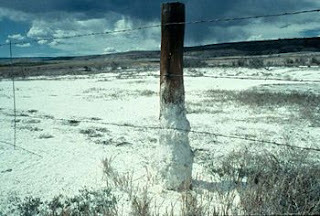 Too much salt in the soil is toxic because it hinders the ability of plants to take up water. In short, they die of thirst while being watered. Salinization is not only a product of synthetic fertilizer itself, but also of water. Some of Flagstaff's golf courses are already suffering recurring bare and brown spots and dying trees. Watered, as they are, with reclaimed water, the courses are slowly being salinized because reclaimed water is saltier than spring water. With repeated usage the soil inevitably becomes salt toxic resulting which might result in courses of Astroturf with cell towers for pine trees. What happens in agribusiness and on golf courses can also happen in pots on the deck or vegetable and flower beds in the yard. As Thomas P O'Neill, Jr., the late Speaker of the House of Representations, often said, "All politics is local." So it is with sustainability. It's local as well as global. Dirt is not an infinite resource, as the farmers in the Coachella and San Joaquin have found out. With synthetic fertilizer blowback, garden soil can be turned sterile. It's best enriched using compost, animal manure, and organic fertilizers, such as blood and bone meal. 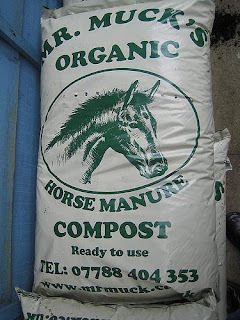 Only horse, cattle, and chicken manure are useful because dogs, cats, and human beings eat their fellow animals and thus are likely to carry pathogens or nasties in their feces. 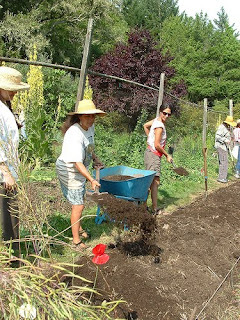 The purpose of sustainability is not only to grow our own food and cook it slowly, but also to rehabilitate the earth for those who follow us. Industrialization has not only overtaken agribusiness, it also dominates the fast food industry which is nothing more than assembly line food. Sometimes, advocates of sustainability sound like Luddites, followers of Ned Lud who at the end of the 18th century destroyed machines in reaction to industrialization. More than Ludditism, sustainability is a solution, not a reaction. The irony of sustainability is that it requires both the high tech of rehabilitating water and the low tech of fertilizing the soil with organic material. The high tech is the sophisticated technology capable of rehabilitating water. Rehabilitation requires vast amounts of electricity which, in turn, requires sophisticated technology of using the sun and wind to generate enormous amounts of electricity. Paradoxically, the ravages of 19th and 20th centuries industrial exploitation will be redeemed by a 21st century Von Furstenberg Principle, a high-brow technological rehabilitation of finite water supplies and a low-brow fertilization of soil with animal waste and organic refuse.